Marcia practiced as a professional astrologer for eight years. She took astrological classes for over two years. After these studies, she passed the 7-hour exam given by the Atlanta Board of Astrology Examiners, a Board set up by the City to formulate and grade exams to be given to aspiring astrologers wishing to practice legally in the City of Atlanta. Marcia later was a member of this Board for four years, and Chairperson for three of those years. She was also active in the Metropolitan Atlanta Astrological Society, serving as president for a year. She was also Chairperson of the Curriculum Committee, as well as working in other areas of this organization. 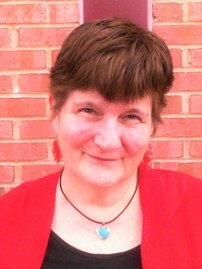 As an astrologer, Marcia taught astrology for over five years, wrote for several astrological and New Age publications (some articles were translated into German and Spanish for European magazines), conducted workshops, did public speaking, did a weekly spot for a psychic's cable TV show, and was interviewed by the "USA Today" news show and by "The Atlanta Journal-Constitution." Since becoming a Christian, Marcia has been on several radio shows, including "Unshackled!," Bill Bright's "WorldChangers," "Janet Parshall's America," and the "Dawson McAllister Live" show for teenagers. She has also been on Christian television, including having her testimony dramatized on Dr. D. James Kennedy's show. She has led workshops and spoken at conferences, churches and retreats, and written for Christian publications. Marcia is the author of SpellBound: The Paranormal Seduction of Today's Kids (Cook, 2006). Marcia's ministry is CANA/Christian Answers for the New Age, and she is a missionary with Fellowship International Mission, an independent mission board based in Allentown, PA. CANA is an informational and outreach ministry.